DANVILLE – Construction has begun on more luxury townhomes in Danville along the Susquehanna River. A groundbreaking ceremony took place on August 9 to kick off construction of Phase Two of Jacobs Landing. The upscale residential community is located on the north bank of the Susquehanna River. The homes are just upstream of the site of the historic ferryboat, operated by Jacob Gearhart beginning in the early 1800’s. Gearhart’s ferry was vital to commerce in this region of the Susquehanna River Valley. The primary design-build contractor for the project is T-Ross Brothers Construction Inc. In this next phase of construction, 8 additional brownstone units will be added along with 8 riverfront condominiums, in a total of three buildings. This adds to the existing 12 homes at Jacobs Landing. Jacobs Landing enjoys spectacular views of the Susquehanna River from every one of the new condominiums. Downtown Danville is a five-minute walk from Jacobs Landing, with Geisinger Medical Center just a five-minute drive away. For more information on the homes, you can visit their website at www.jacobslandingdanville.com, presented by Villager Realty. 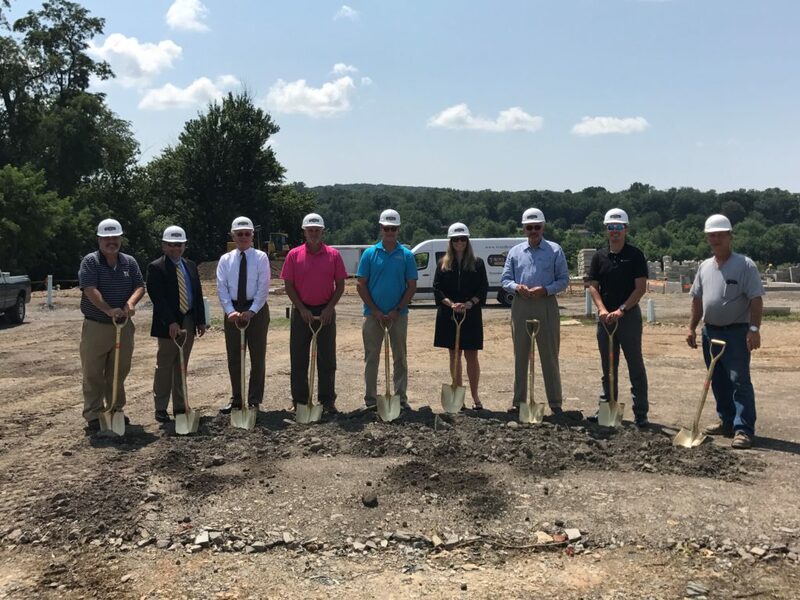 About 20 people attended the groundbreaking ceremony including Tim and Sabra Karr of Villager Realty, Todd Ross, president of T-Ross Brothers Construction Inc., Jim Wilson of the Danville Business Alliance, Fred Gaffney of the Columbia Montour Chamber of Commerce and many others. The post Groundbreaking held for new housing project in Danville appeared first on T-Ross Brothers Construction, Inc..